The best summer vacation rentals offer luxury and one-of-a-kind experiences. Looking for the ultimate summer getaway? Book any of these insane summer vacation rentals to experience something new and live like a local. Your best summer vacation idea might not involve staying at a hotel or resort. If you’re ready for an unforgettable summer, consider staying at a rental provided by HomeAway, Airbnb or similar home rental site. You can find an insane vacation rental for a great price to help make this year’s summer travel adventures ones to remember. From the ultra-luxurious to the quirky unusual, here are some of the best summer vacation rentals for your next getaway. 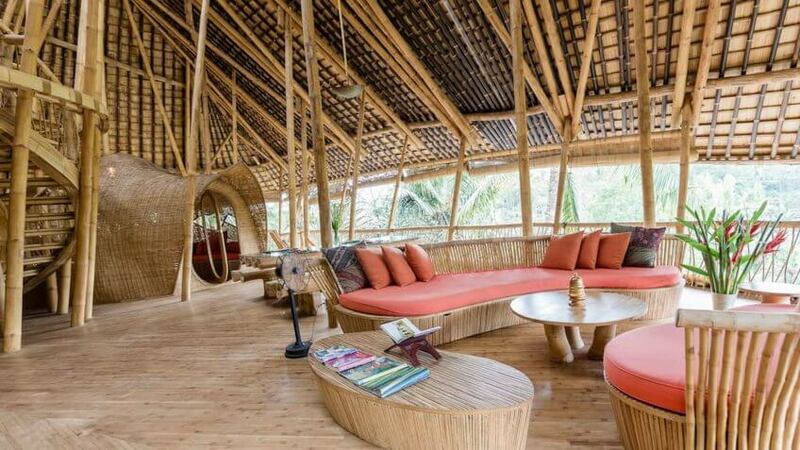 Located in Bali, Sunrise House sits on the edge of the Ayung River and is made entirely of bamboo. The personal oasis was built in 2010 with black and white bamboo, with different shapes and sizes used to create the home’s walls, stairs, railings and roof. Sunrise House consists of four levels and has three bedrooms, each with its own bathroom. The lounge and dining rooms showcase beautiful views of the area, with the fourth floor displaying a panoramic one. Guests have access to the natural community pool, pavilion and restaurant. There is a two-night minimum stay at this property. Sunrise House is one of several homes that make up Green Village, a community along the slopes of Ayung River. You can tour PT Bamboo Pure, headquarters of the bamboo factory, and the Green School. Workshops are also available, including a Joinery Techniques Class and Coconut Treasures Workshop, if you want a more immersive travel adventure. While everyone else heads to the tropical beaches this summer, why not plan a trip to Alaska? 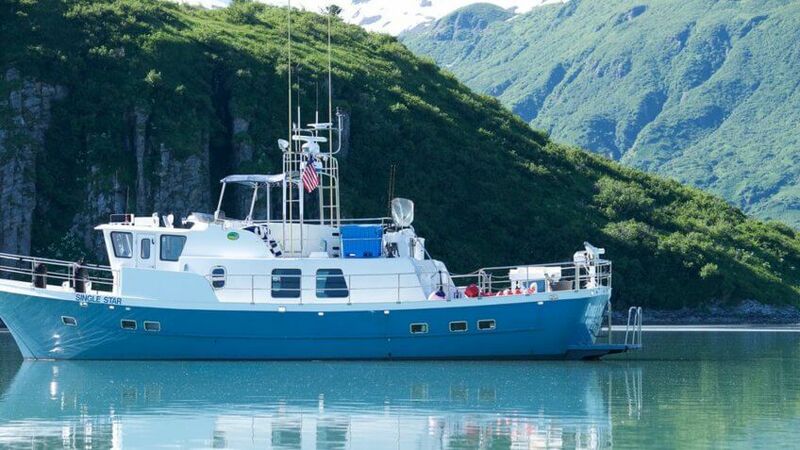 The custom-built Ocean Voyager MV Single Star is a yacht lover’s dream and the perfect excuse to get out and explore the waters of Alaska for a few days — or weeks. The 58-foot yacht features spacious staterooms and a dining area to accommodate up to eight people. A personal chef cooks gourmet meals during the tour as you learn about the many natural sites and wonders. Whether you’re a nature lover or just want to experience life aboard a yacht, cruising Alaska’s Kodiak Archipelago is sure to be an unforgettable adventure. This private Alaska touring group has hosted fishermen, outdoor enthusiasts and photographers from around the globe; a perfect solution for those wanting to explore the remote areas of Alaska on a guided tour. Spend your days whale watching, bird watching, beachcombing or sightseeing. The waters along the route are great for deep sea and fly fishing. You’ll also get the chance to take in the breathtaking landscapes and scenery around Kodiak Archipelago and pristine wilderness areas around Katmai National Park. 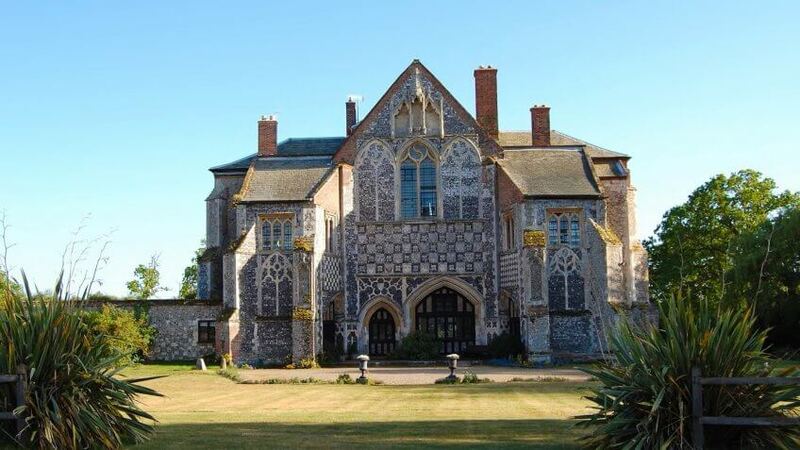 Escape to the English countryside and stay in this insane vacation rental in Suffolk. The Butley Priory is a 12th-century abbey, rich in history and containing many elements from its days as an Augustinian monastery. Located on the east coast just two hours from London, this country house is a popular destination for romantic getaways and weddings. Its 8 acres of tucked-away private parkland is surrounded by forests and marshland ripe for exploring. You can request catering services from The Kitchen at Butler Priory or prepare your own meals in the Aga kitchen. Amenities include a dishwasher, log fires and even a tuned piano. Spend your days taking relaxing walks around the countryside, visiting antique shops, enjoying the beach or sampling local fare at area seafood restaurants and pubs. Melton train station is just 3 miles away and offers a direct train to Liverpool Street in London. The owner lives in the cottage next door so you can ask for more information about the area during your stay. Luxury Ski Lodge in Jackson Hole, Wyo. If you can't stay at a world-class resort, check out this recently renovated lodge. It offers the ultimate in luxury for ski trips around the Teton Mountain Range. 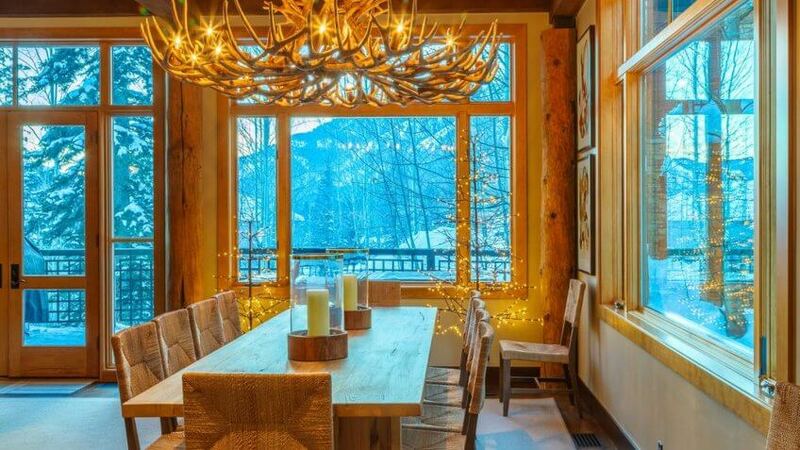 Boasting views of Jackson Hole Mountain Resort and filled with designer furnishings and artwork curated by Jules Place Gallery, this lodge is designed to accommodate large groups on an extended-stay ski vacation. Modern amenities — including a media room, Apple TV and SONOS music system — will keep you entertained when you're not hitting the slopes. A spacious kitchen stocked with luxury appliances and an open bar cater to large groups and parties. A bunk room with six twin bunk beds and junior master bedroom with a private outside sitting area are a few of this property’s highlights. All rooms are furnished with a Black Label Beautyrest mattress and have a private bath. The upper level of the home is designed in a rustic barn motif and features a media room with an 80-inch screen, Apple TV and a banquette for board games. The lodge is located near the southern entrance of Grand Teton National Park and just minutes from several hiking and skiing trails. You can even make dining reservations at The Four Seasons Resort located just a short walk from the property. Magic School Bus in Salinas, Calif.
Take a walk down memory lane of your childhood dreams, and stay on the Magic School Bus for a few days and nights this summer. Located on a 5-acre ranch in Monterey Bay, an old-school bus has been transformed into a miniature apartment with its own Tempur-Pedic queen bed, LED lighting system and redwood walls. You'll have access to a kitchen and bathroom inside the hosts’ nearby home and can join an early-morning yoga and meditation class to start the day off right. You can also pick up farm fresh eggs, available seasonally, to make healthy meals. The bus accommodations are suitable for up to two people. Spend your days exploring the ranch and enjoying self-made vegan and vegetarian meals in the kitchen. You can also venture into Salinas to explore such attractions as the National Steinbeck Center and Old Town Salinas. 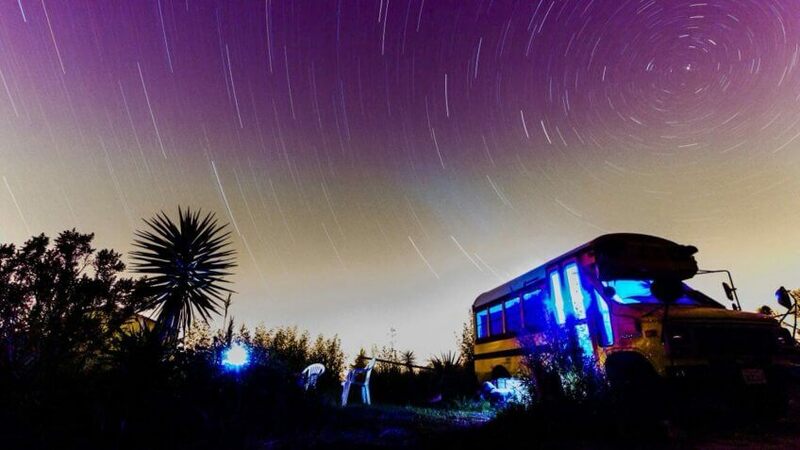 When the day is over, spend your night stargazing at the clear night sky as you drift off to sleep. West Elm House in Palm Springs, Calif.
Where to book: ACME House Co. 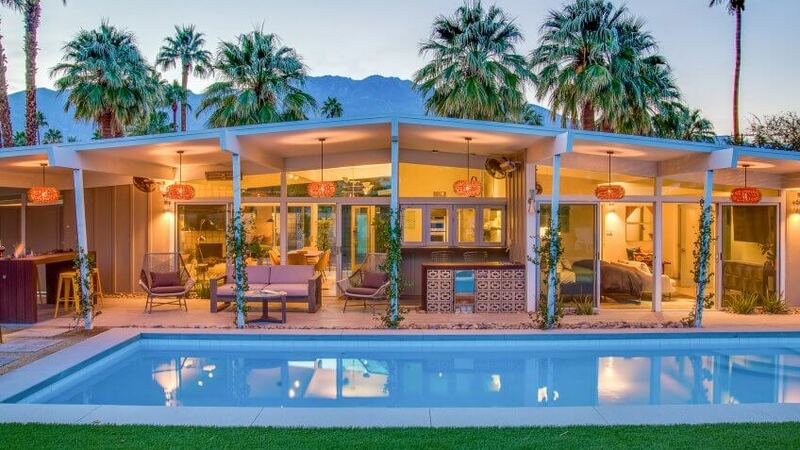 Enjoy sophisticated living with a 1950s flair at this Palm Springs home in Little Beverly Hills. It’s one of the few retro homes in the upscale neighborhood, located just a few blocks from Downtown Palm Springs, the farmers market and the local movie house. The stunning West Elm House is a concept home from the West Elm design team so furnishings include organic, sustainably sourced furniture, lighting and accessories. Contemporary amenities and features are also available, including four smart televisions and movable glass walls. 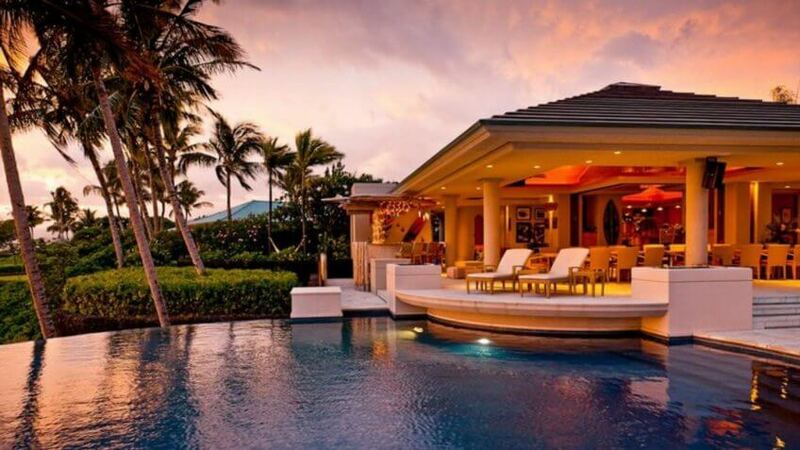 Invite guests over for a pool party to make the most of the giant concept pool with disco lights. West Elm House is an iconic home that offers a luxury, resort-style experience. While the master bedroom features an en-suite bath, each of the two guestrooms has its own courtyard complete with mountain views. You can spend your days by the pool, explore hiking trails, visit the casino or enjoy soothing treatments in your private spa. When you’re not sparing any expense in Hawaii, stay at the Kauhale Pilialoha, an exclusive retreat on the Big Island near the Mauna Kea and Hapuna Beach Prince resorts. Encompassing 2.5 acres, this private retreat boasts a poolside lanai on cliffs overlooking the Pacific Ocean, four pod-style villas, massage room, gym, chef-appointed commercial kitchen and an infinity edge pool overlooking the island. You can bring up to 30 guests to this luxury mansion and enjoy an outdoor dinner, browse the house’s art collection or settle in for film night in the media room. If personal time is what you’re after, relax in the hot tub or heated pool, go horseback riding or paddle boating, or simply enjoy a scenic drive around the Big Island. For a nominal fee, you can enjoy the privileges of the nearby Mauna Kea Resort and Hapuna Beach Prince Hotel, such as pool access, private beach chairs and discounted golf. The oceanfront estate puts you within easy reach of the beaches and waters around the cliffs, which also make it the perfect location for scuba diving, snorkeling, surfing and more. Off-Grid ‘itHouse’ in Pioneertown, Calif. 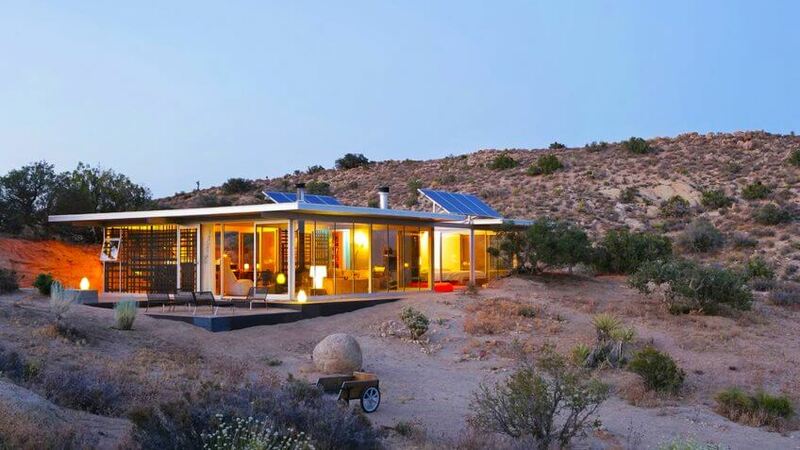 Enjoy the green lifestyle in the California high desert at the off-grid itHouse. It’s one of 10 IT Houses built in California and powered by solar panels that produce energy and water. Designed with minimalist architecture in a remote setting, it’s an idyllic destination for an ‘unplugged’ vacation. Be prepared to be completely cut off from the internet — no WiFi signals here — and television so you can enjoy nature at its best. The home is accessible via a dirt road, and you should arrive before sundown to find it. The house is furnished with two Casper mattresses. Fresh juice is available for daily delivery to your door. When you’re ready to explore the area, set your sights on Joshua Tree National Park, the Noah Purifoy Outdoor Desert Art Museum and more. 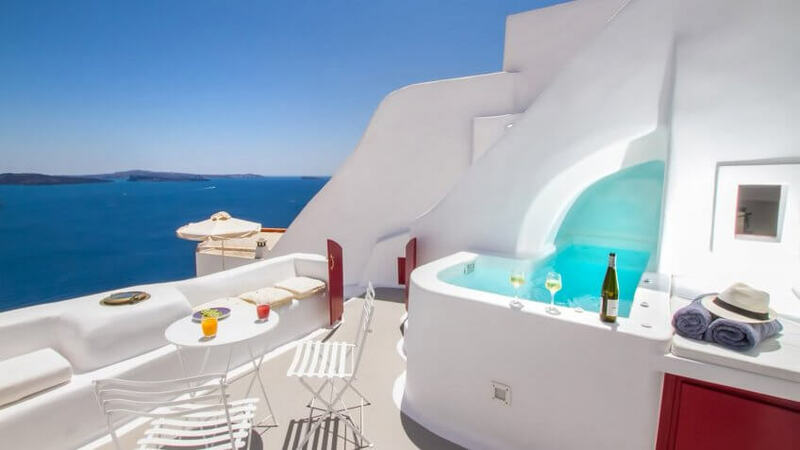 If you want to stay at Hector Cave House, you’ll have to run away to the Greek island of Santorini. 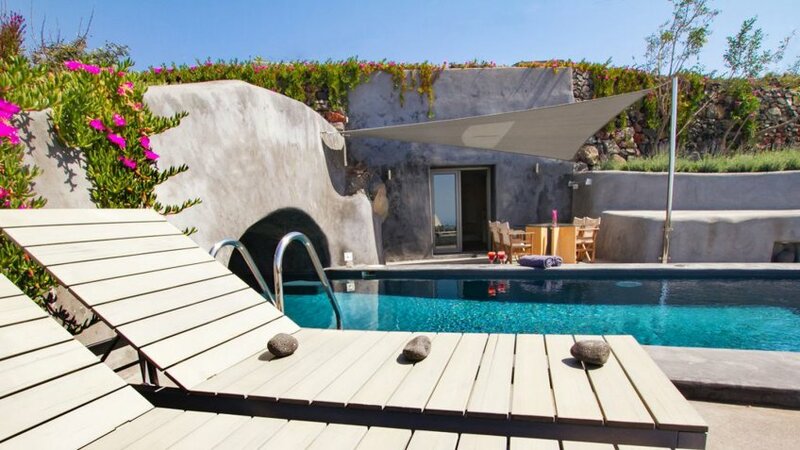 Carved into the caldera cliff, Hector Cave House was originally a wine cellar but has since been converted into a relaxing respite with a luxury cave and studio built on top of it. The home has a private veranda where you can dine, sunbathe or just take in the beautiful views of Santorini at your leisure. A non-heated Jacuzzi is also available on the veranda from April to November. There’s only one bedroom in this cave, located in the loft area, but it is furnished with four beds. The nightly rate is for two guests; additional guests are an additional $58 per night. You’ll be staying in Oia, which puts you within walking distance of several cafes, restaurants and shops. Pay a visit to the historic castle in Oia and enjoy the beautiful sunsets off the coast. The area around the Aegean Sea boasts a tranquil and serene setting where you can just let go and relax for a few days. Airbnb reviewers point out the luxury amenities and extra pampering provided by staff as some of the highlights of this property. Price estimates are accurate as of June 20, 2017, and are subject to change. 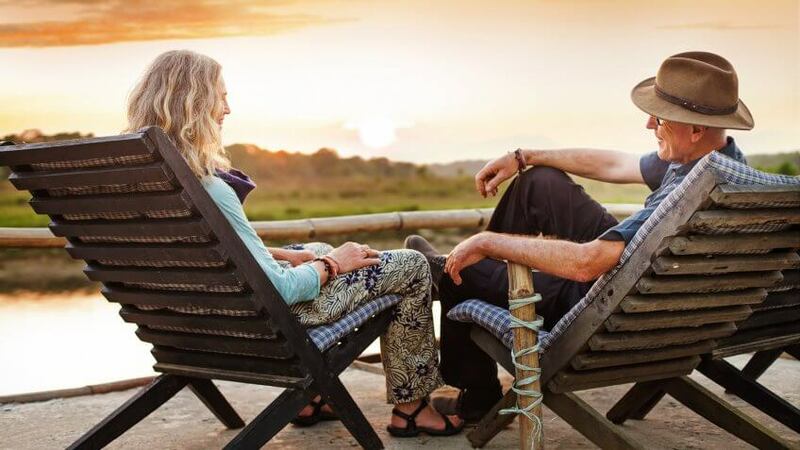 If you can't afford several vacation homes — or even one — you might be able to become part owner through a timeshare, said Corley. Owning a timeshare can give you the opportunity to stay at a particular property every year at a certain time. And for more flexibility, you can rent someone else's luxury vacation home through websites such as VRBO and HomeAway. Carved into a mountain, this cave house offers sweeping views of the village of Oia, several islands and the beautiful Santorini sunset. This one bedroom, two bath villa sleeps up to four guests and features a private pool. Consisting of two caves connected by a small tunnel, this 699 square foot villa is ideal for two couples or families with older children. A vacation rental by owner, the property manager is also the villa's architect and designer, serving as an interesting touch. With careful planning, you can save money on fuel, lodging and more on your summer road trip.